But I don’t think that’s a good enough excuse to not post! 😛 What have I been cooking all of October? Not much! I have a wedding to attend on the 1st of January, 2012 (I find it fascinating that my friends are getting married on the 1st day of the new year! I’m sure he is never going to forget their anniversary! :)) and I have tried very hard to not make anything that I love and I can finish the whole thing! 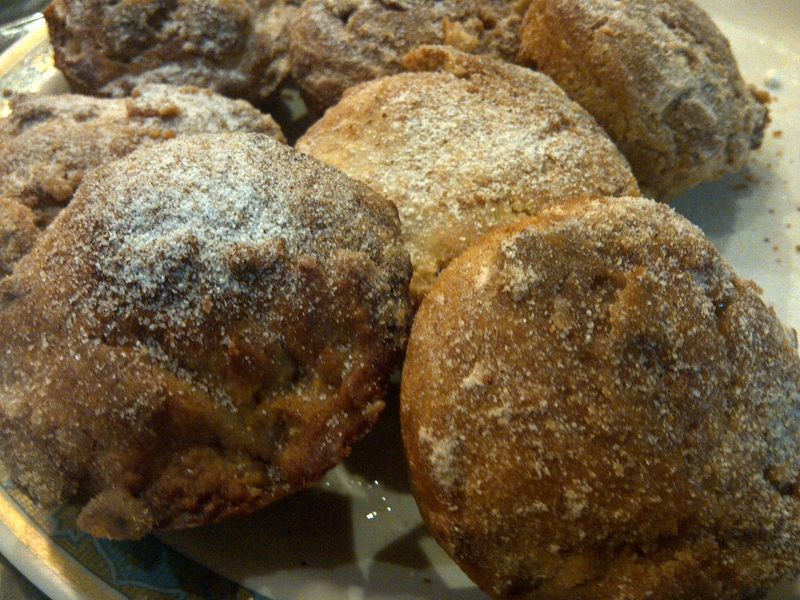 😛 I did make a wonderful upside down cinnamon and apple cake (delish) a few times and I also made these absolutely heavenly Cinnamon and sugar muffins, with some variations as well, a few times. I found this recipe one afternoon when I was ‘stumbling upon’ a few websites and the ingredients are so simple and fresh, I had to make these muffins. They’re so easy and delicious, they’re dangerous! This is my new favorite ‘go to recipe’ when I have friends and family coming over. The wonderful blend of Cinnamon and vanilla creates this aroma that just makes my whole house smell wonderful and sends across this happy vibe. Beat the milk, butter and egg in a medium bowl. Once well mixed, add the vanilla to the mixture and beat lightly. Add in flour, sugar, baking powder, cinnamon powder and salt all at once into the milk-egg-butter mix all at once. Stir just until flour is moistened. The batter will be lumpy, but do not over stir it. Using a large cookie dough scooper, fill muffin cups until about 3/4th full. Once muffins are done, immediately remove them from a pan and carefully roll the hot muffin tops in melted butter first and then in the cinnamon and sugar mixture. 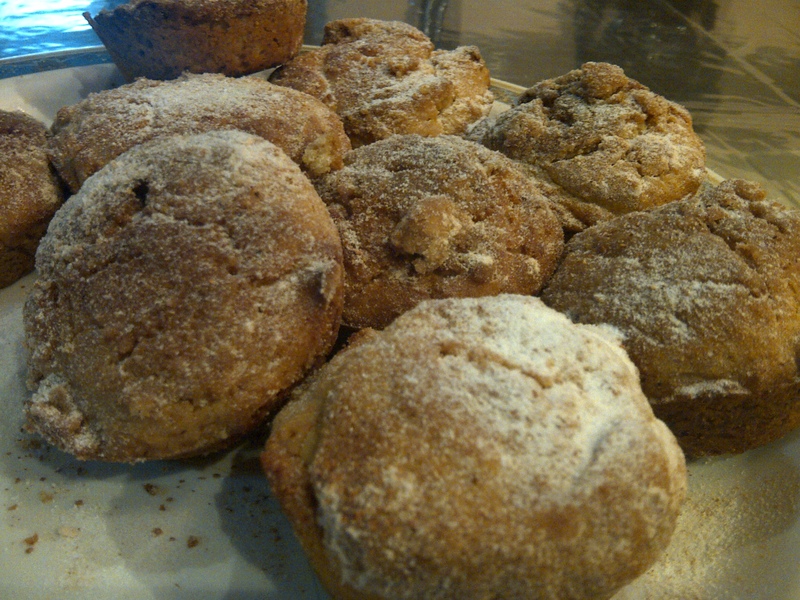 Your delicious cinnamon and sugar muffins are ready to be eaten. They taste best when eaten hot and will stay good for about a week outside. These are my mom’s absolute favorites! She makes me make some for her at 11 in the night sometimes since they’re ready to eat in about 30 minutes! The adults and the kids all love these simple, yet delicious muffins. I keep the basic recipe the same and try some small variations like lemon muffins, lemon and orange muffins, chocolate chip muffins. They always come out well!